Evangelism using professional sales techniques is the spiritual equivalent of monetary inflation. Prior to Adolph Hitler rising to power in Germany, that nation experienced an inflationary depression in which it literally required a wheelbarrow load of reichsmarks to buy a loaf of bread! Everyone had lots of money, but it was practically worthless. And filling churches with unregenerate individuals who make a profession of faith in order to enjoy the benefits afforded members is spiritual inflation. The Church of Jesus Christ is, and was meant to be, the most exclusive group of people on earth and making it a country club by preaching "easy believism" is apostasy, pure and simple. "APOSTASIA--a defection, revolt, apostasy, is used in the N.T. of religious apostasy; in Acts 21:21, it is translated "to forsake," lit., 'thou teachest apostasy from Moses.' In 2 Thess. 2:3, "the falling away" signifies apostasy from the faith. In papyri documents it is used politically of rebels..." (emphasis mine). 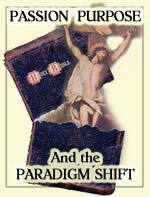 Most believers today continue to expect a time in the future when great masses of people will renounce their faith. That is what I was taught and it seemed to make sense, but Satan's plan is devilishly clever in that counterfeit "christian" tares (Matt.13:24-30; 36-43) are presently causing that great defection from the faith by professing to embrace it! Multiplied thousands are camouflaging themselves by adopting the external trappings of Christianity, but their hearts have never been changed through the new birth. And hordes of apostates--religious hucksters posing as spiritual leaders--are getting rich by pandering to them. Availability of "converts" will always lead to the spiritual demise of a church if they accept into their membership any and all who will make a profession of faith without demonstrating proof of their spiritual conversion. The presence of the Holy Spirit in a person's life is the one dinstinguishing characteristic that separates the mere professor from the genuine possessor. Spiritual discernment exercised by a regenerate body of believers--a church--is supposed to be the determining factor as to whether or not a profession of faith will lead to membership. In other words, has the individual "talked the talk and walked the walk" to a sufficient degree that his/her profession is deemed valid by the majority? Accepting devils posing as angels based solely upon a profession of faith is patently ridiculous, but today it is the rule rather than the exception and few are even aware of the problem. "Enter through the narrow gate; for wide is the gate and spacious and broad is the way that leads away to destruction, and many are those who are entering through it. But the gate is narrow (contracted by pressure) and the way is straitened and compressed that leads away to life, and few are those who find it" Matthew 7:13-14 (Parallel Bible, KJV/Amplified, emphasis mine). "For many are called (invited and summoned), but few are chosen" Matthew 22:14 (Parallel Bible, KJV/Amplified, emphasis mine). Church history shows that with the exception of those rare instances when God sent revival to His people, genuine conversions have been relatively few when compared to the total population at any given time and place. So the concept of mass evangelism is contradictory to that fact and zealous efforts by men to produce the same results as those realized during times of genuine heaven-sent revival is playing a major role in the apostasy. Urging men to come to a saving knowlege of Jesus Christ and escape an eternity in hell is totally scriptural, but urging them to "accept" Him is fraught with semantic problems. One may readily accept the concept of salvation without actually experiencing spiritual regeneration. Intellectual assent to the facts as presented in order to avoid eternal punishment ("a fire escape from hell") is the spiritual equivalent of a drowning man grasping at straws. 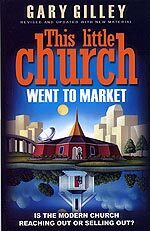 And "easy believism," as some have termed it, is contributing greatly to inflation of convert numbers and the inevitable decline of churches because they fail to make an attempt to test for genuine faith. Satan always sees to it that some of his children will go undetected no matter how careful a church membership may be, but to accept new members without requiring a probationary period is a prescription for disaster. "Praising God, and having favour with all the people. And the Lord added to the church daily such as should be saved" Acts 2:47 (KJV, emphasis mine). Membership in the Church of Jesus Christ is instantaneous when one truly trusts the Lord and believes, but membership in a local church assembly is another matter entirely. The Lord knows His own, but believers do not have that same degree of divine insight where others are concerned. So before we fully embrace someone as a brother or sister in Christ on a personal level, we must exercise spiritual discernment as to whether or not they demonstrate evidence of the Holy Spirit in their lives. And this same principle is supposed to be applied to all who present themselves for membership in the local church. But because rejecting someone for membership is an embarrassing situation for all concerned--and the process of scrutiny is subject to fleshly bias on the part of some members--the practice was discontinued many years ago. But that cessation has played a major role in the ruin of our churches. Voting someone into the membership immediately upon receiving a request is now standard procedure for most congregations and although the pews are filled, I-CHABOD is written over the doors (1 Sam.4:21), the glory of God has departed, and their candlesticks have been removed (Rev.2:5). Apostasy reigns, but they are enjoying too much "fellowship" to even take note. If you recognize that your own church has fallen prey to this common ailment and the tares obviously outnumber the wheat, the Word of God says to "come out from among them!" But be advised that finding another established church where the wheat still outnumber the tares may be difficult. Some continue to contend for the faith, but their numbers are rapidly declining as one by one they succumb to the siren song of the growth movement and worldliness in general. So if you are determined to remain faithful, it is quite possible you may have to meet around the kitchen table for worship with your own family and/or some born again neighbors. But that is certainly not a bad thing! During the first 200-300 years of the Church Age, home churches were the norm and it appears this may again be the case before the Lord returns for us. Because it appears from the email we receive, there is a growing number of those who recognize the problem and are separating from it. Beloved, when two or three (or more) genuine believers meet together at any time or place for prayer, Bible study, praise and worship--that group is a church! The Lord is among them and will accept their worship. And when children of God know in their hearts that the church they attend has crossed the line and fallen prey to the current "fill pews using all means necessary" apostasy, the scriptural call to separate and come out from among them should be heeded. Some friends may be estranged or even lost in the process, but it is far better to be few and faithful than remain with the crowd on the broad way that leads to destruction.